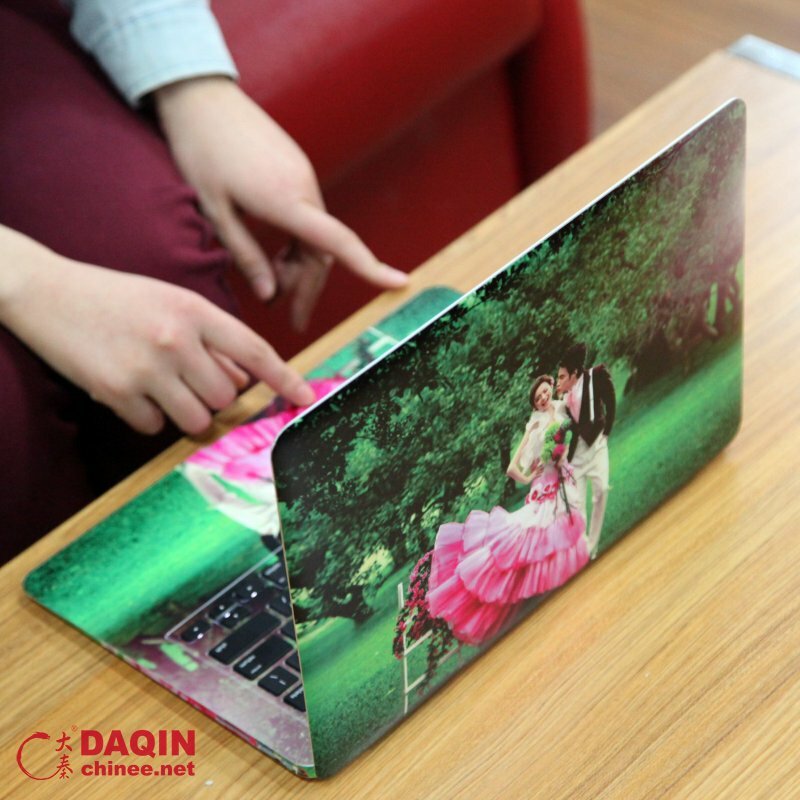 Do you know how to produce custom laptop skins for any brand laptop in the world? 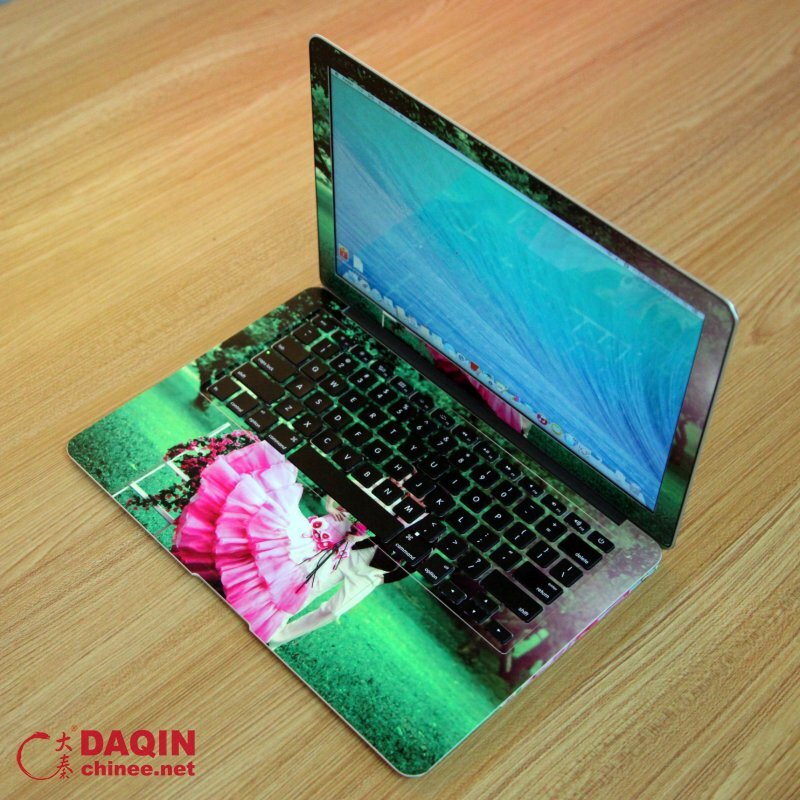 By DAQIN custom laptop skins system, you can easily make custom skins for any brand laptop. 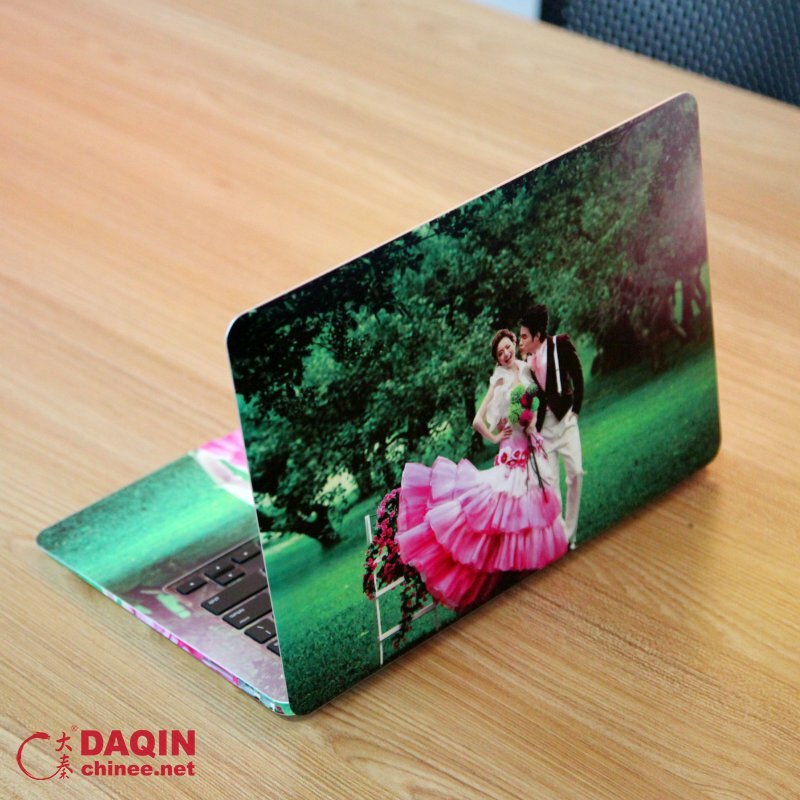 Let’s take a close look at how to make custom MacBook skins for example. 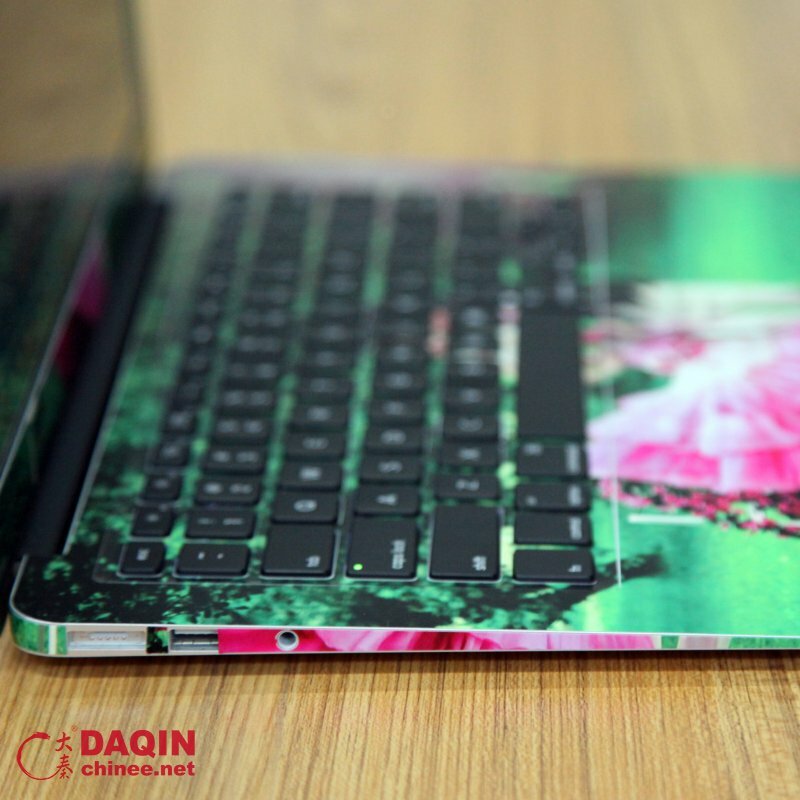 Beautiful custom Laptop skins made by DAQIN custom laptop skins system. Let’s see how to produce it step by step. 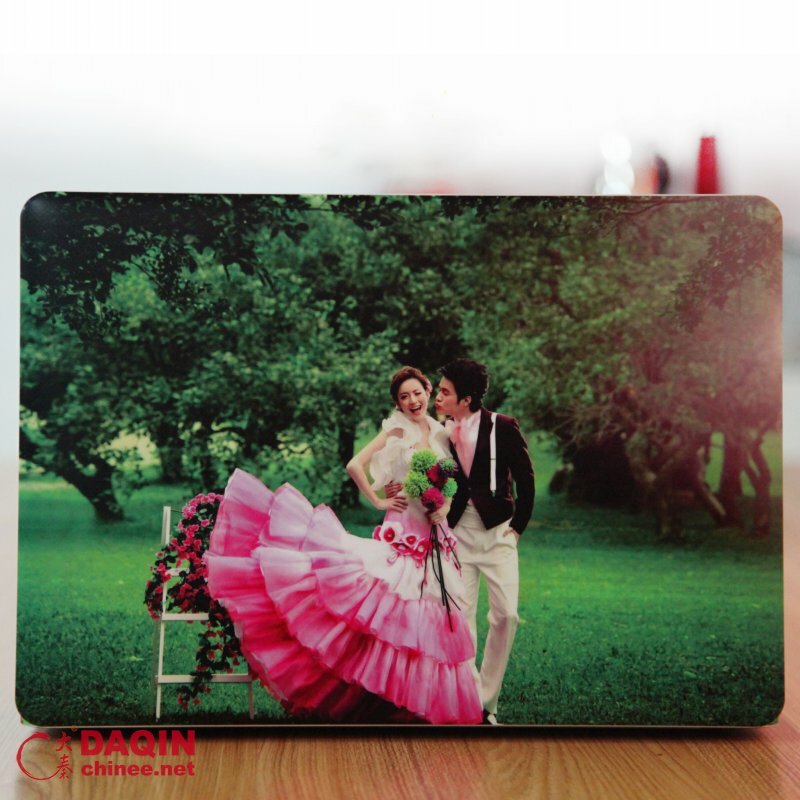 Firstly, open the laptop skins designing software. Select the model of MacBook Air. 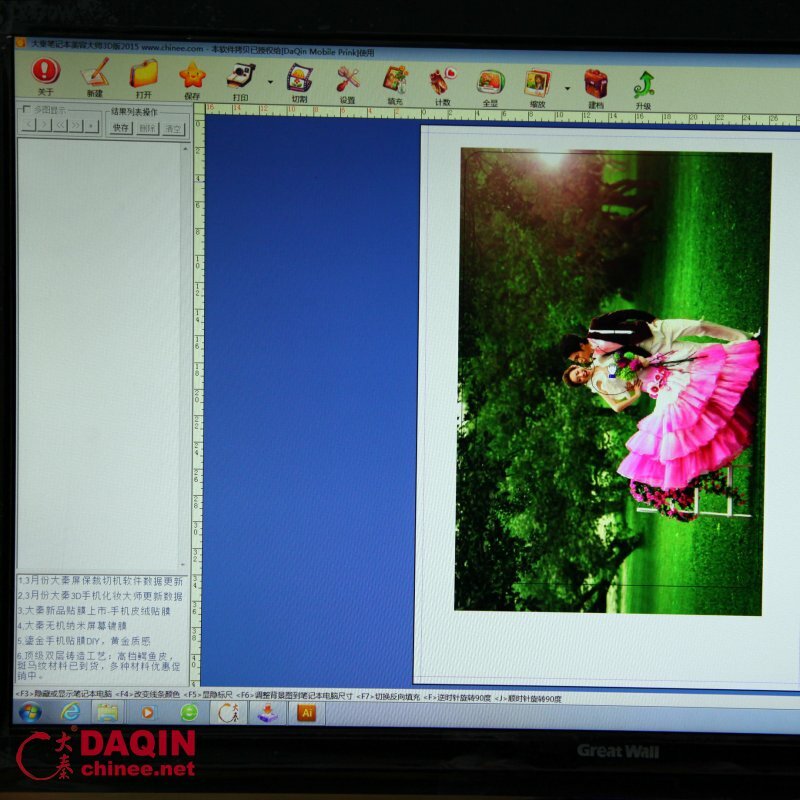 Upload the custom picture to the software, and then drag the picture to the desired location to fit with the MacBook. 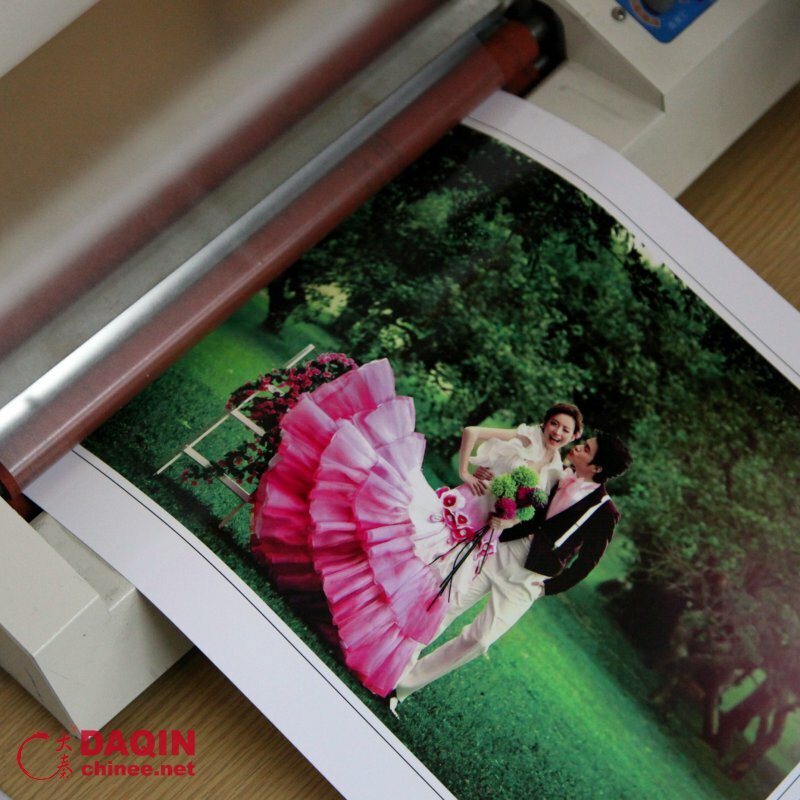 Secondly, print out the design on A3 size printing design film. 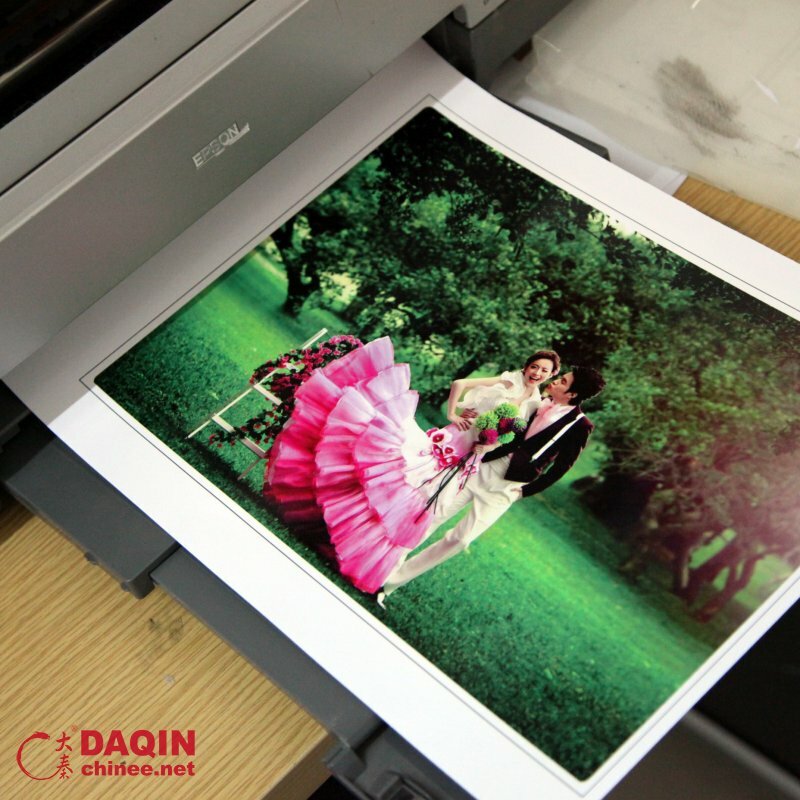 The Printer should be 6 colors inkjet printer with CISS system, such as Epson 1390. 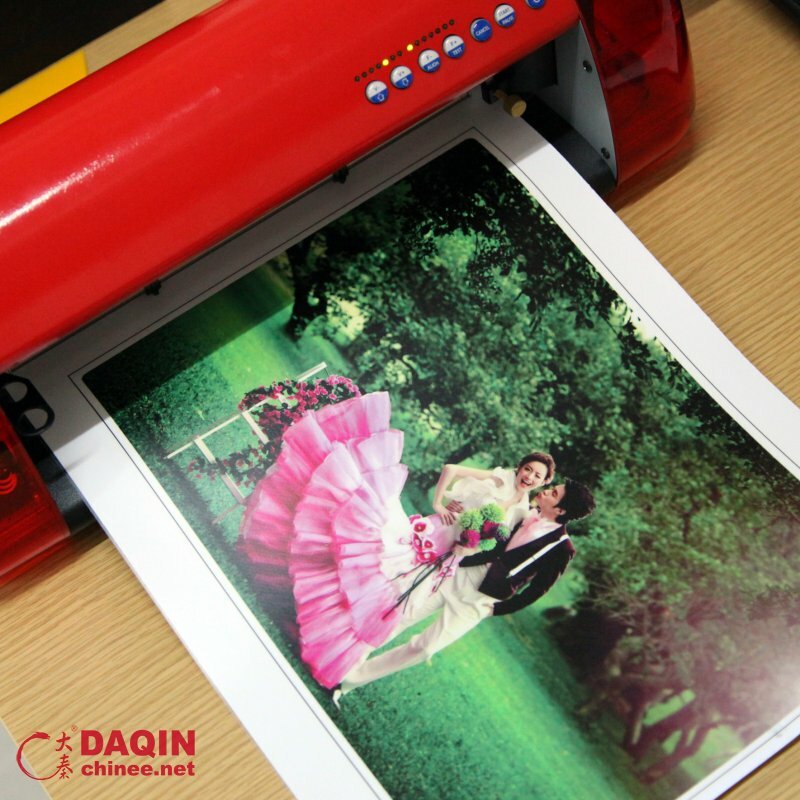 Thirdly, laminate a thin layer of lamination effect film on the well-printed A3 size sticker. It’s cold lamination, so that no need of turn on the heat. The laminator has 4 rollers which can effectively avoid bubble during the lamination process. 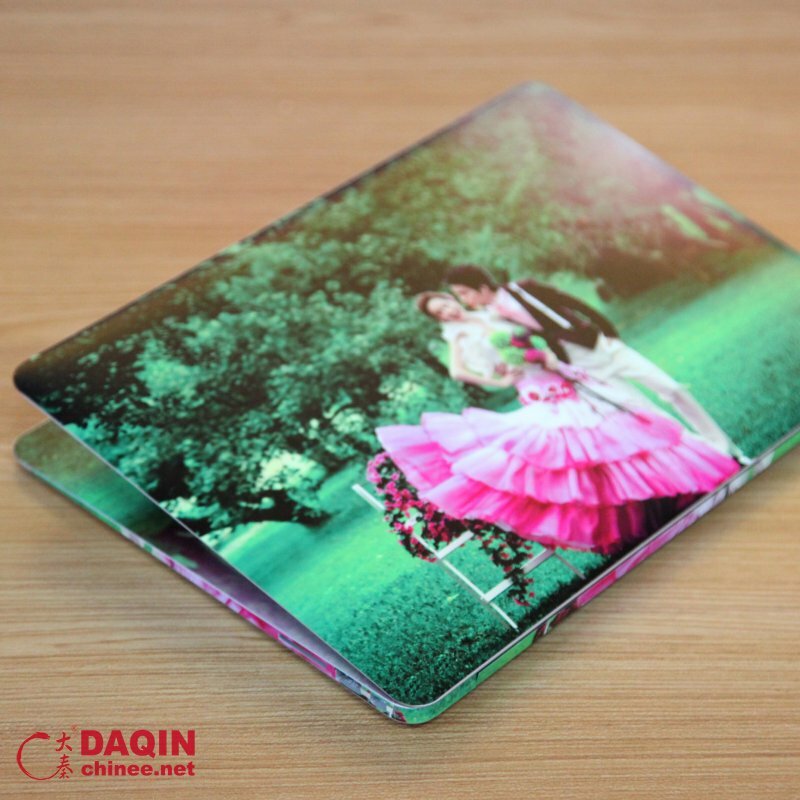 There are multiple lamination effect film to choose from, such as glossy, matte, ice-flower, flash-matte, leather, 3D water drops, gridding, twill…etc. 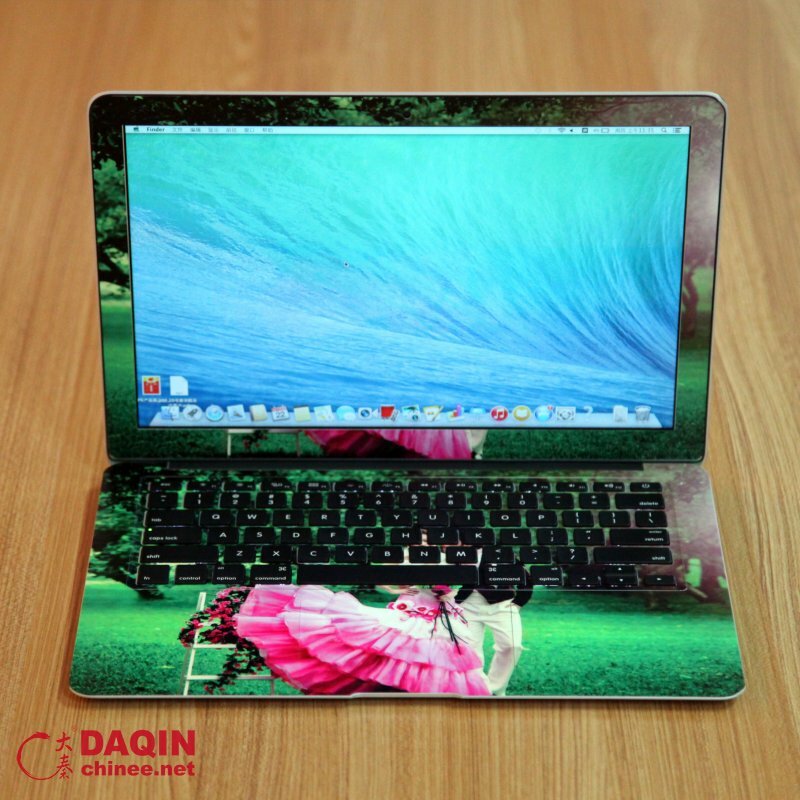 Fourthly, cut the well-laminated sticker into custom skins for MacBook Air. 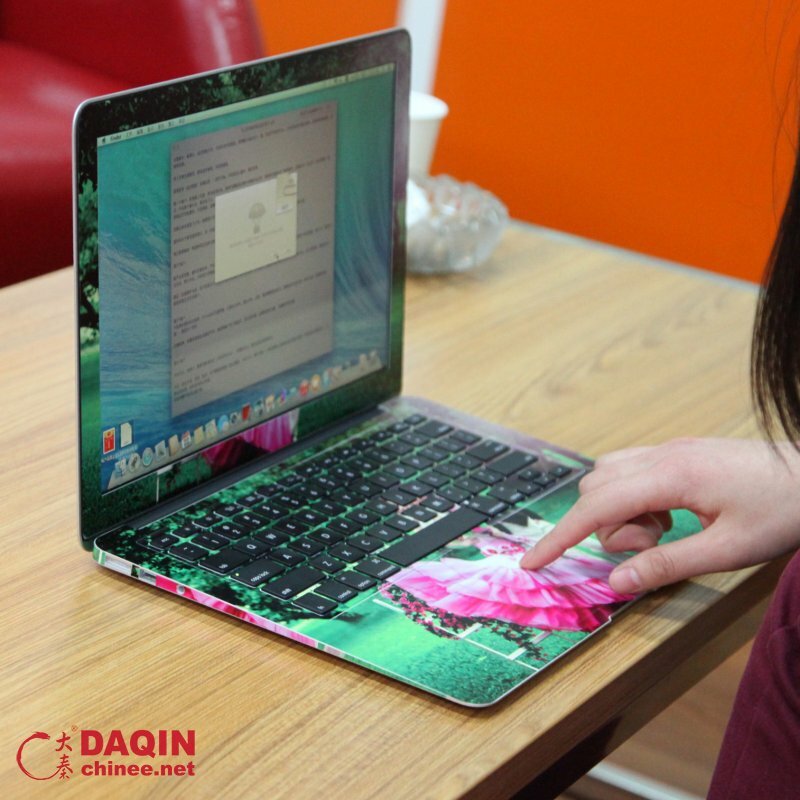 Press cut button on the laptop skins designing software, within 30 seconds the cutting process will be completed. Apply the sticker on the MacBook Air. 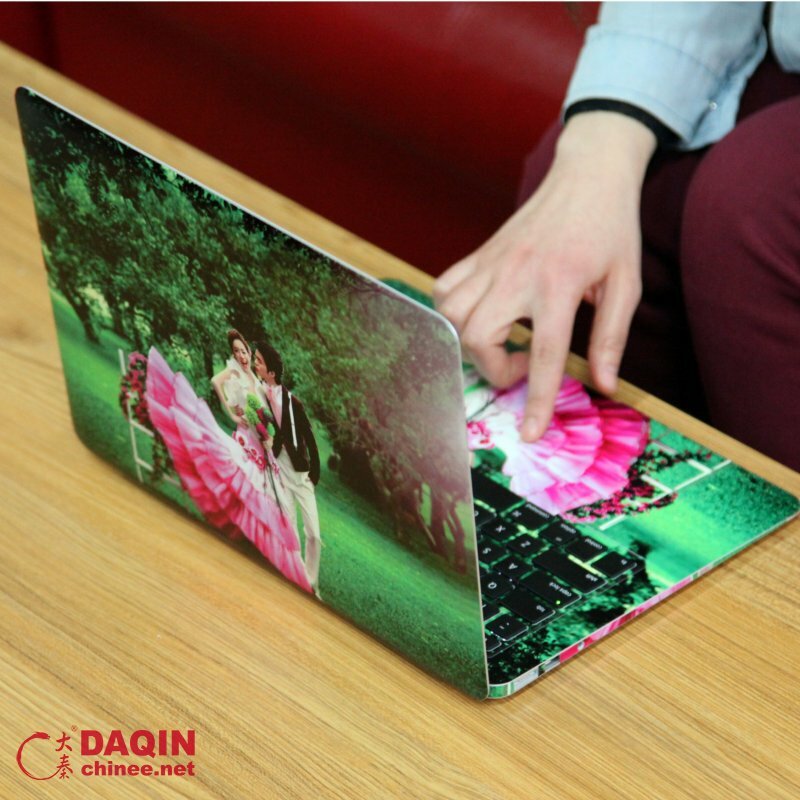 Above custom skins for MacBook Air are produced by DAQIN custom laptop skins system.